The lack of access to driver's licenses for hundreds of thousands of immigrants regardless of status puts many of my loved ones and neighbors at risk. State Sen. Luis Sepulveda recently introduced legislation to give access to driver’s licenses to all New Yorkers, regardless of immigration status. Gov. Andrew Cuomo and state lawmakers should support the bill. The lack of access to driver’s licenses for hundreds of thousands of immigrants regardless of status puts many of my loved ones and neighbors at risk. As a Dreamer with Deferred Action for Childhood Arrivals status, I can now get a license and drive my children to school. But many other immigrant parents cannot. Whether we are going to church on Sundays, picking up our children after school or commuting to work, immigrants in New York’s suburban and rural communities in particular need to drive. For many, there are few buses or trains available, and, even where there are, unreliable public transportation means that missing a bus can often mean waiting another hour for the next one. With the Trump administration using every possible excuse to detain and deport immigrants, a routine traffic stop can lead to immigrants driving without licenses being separated from their children. The bill would stop that nightmare scenario. 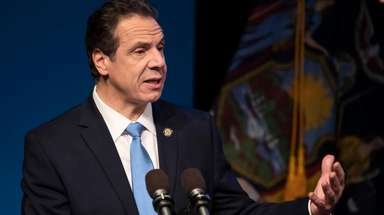 The bill would allow the Department of Motor Vehicles to issue a standard license to all New Yorkers, regardless of immigration status, as part of the overhaul of the overall licensing system that New York must undertake under federal law. All drivers would be able to take a driving test, and properly register and insure their cars regardless of immigration status. Evidence shows the bill would help make our roads safer, help the state’s economy and keep families together. According to an analysis by the Fiscal Policy Institute, the bill would lead to the purchase of 97,000 cars and yield about $57 million a year in government revenue. Also, in many of the places where licenses were made available to all drivers, regardless of status, road safety has improved because the state can better ensure that all drivers have met licensing qualifications. Twelve states, Washington, D.C., and Puerto Rico have adopted similar policies. More states are seeing the light: New Jersey is close to passing legislation, and Wisconsin’s governor has made driver’s licenses a priority by placing the idea in his state budget. It’s time to green-light that approach in New York. Eliana Fernandez is a lead organizer at Make the Road New York, a grass-roots organization that serves immigrants.